LUBBOCK, Texas (AP) — Keenan Evans scored 23 points, Niem Stevenson had 21 and Texas Tech toppled fourth-ranked Baylor 84-78 on Monday night. 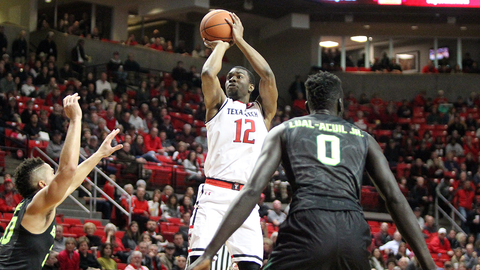 The Red Raiders rallied in the second half after blowing an early 12-point lead. Texas Tech opened the game with an 11-0 run and used an identical spurt late in the second half to go ahead to stay. Devon Thomas converted a tying three-point play with 7:09 left, his only points of the game coming after he was originally whistled for charging while making a layup before officials reviewed the play. The call was overturned after it was determined that Jake Lindsey was in the restricted area when he drew contact, and he instead was given the foul. Aaron Ross then hit a 3-pointer, and his layup with five minutes left put Texas Tech (17-9, 5-8 Big 12) up 69-61.